The Daiwa Sealine is an inexpensive and rugged deep sea fishing reel ideal for use with braided lines. Nowadays most deep sea anglers prefer to fish with braided super lines instead of monofilament. 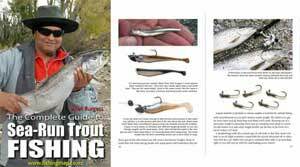 There are several advantages to fishing with braid. Firstly it doesn’t stretch making it possible to feel bites even at depths in excess of 100 metres – something that would be impossible with mono because it stretches to over 30 percent of it’s original length. Secondly, because braid is much thinner for a given breaking strain you can get more line on to a smaller reel than would be the case with mono. This is much better for the angler. After all why wrestle with a big reel topside if you don’t need to? Three popular reels for this style of deep sea bottom fishing are: the Penn Senator 9/0, the Daiwa Sealine SL450H, and the Shimano TLD 20, TLD 25 and TLD30. Each of these reels will hold more than enough braid for any bottom fishing you are likely to be doing around the New Zealand coast. In the case of the Daiwa SL450H it holds either 500 metres of 24kg mono, but if braid is used it can be spooled up with 1500 metres of 37kg. The big Penn Senator 9/0, 115L holds even more line on its larger spool. The gear ratio of the Penn is 2.5:1 so it winds in plenty of line per turn of the handle – an important consideration when cranking in your gear from deep water! Reels like the older star drag Penn 115L Senator 9/0 can be purchased quite cheaply today with many anglers now preffering a lever drag. Don’t be fooled by the star drag it will more than do the job! Note that if you use a smaller reel it will have a smaller spool and take a great deal of winding to lift your gear from the bottom in deep water. 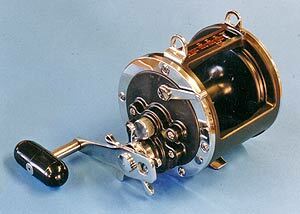 A smaller reel would also have less drag surface to deal with bigger fish.